For other uses, see Thin Man. "Thin Man" was the codename for a proposed plutonium gun-type nuclear bomb using plutonium-239 which the United States was developing during the Manhattan Project. Its development was aborted when it was discovered that the spontaneous fission rate of their nuclear-reactor-bred plutonium was too high for use in a gun-type design, due to the too high concentration of the isotope plutonium-240. In 1942, prior to the Army taking over wartime atomic research, Robert Oppenheimer held conferences in Chicago in June and Berkeley, California, in July at which various engineers and physicists discussed nuclear bomb design issues. A gun-type design was chosen, in which two sub-critical masses would be brought together by firing a "bullet" into a "target". The idea of an implosion-type nuclear weapon was suggested by Richard Tolman but attracted scant consideration. Oppenheimer, reviewing his options in early 1943, gave priority to the gun-type weapon, but as a hedge against the threat of pre-detonation, he created the E-5 Group at the Los Alamos Laboratory under Seth Neddermeyer to investigate implosion. 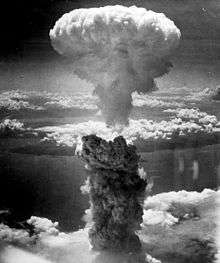 Implosion-type bombs were determined to be significantly more efficient in terms of explosive yield per unit mass of fissile material in the bomb, because compressed fissile materials react more rapidly and therefore more completely. It was decided that the plutonium gun would receive the bulk of the research effort, since it was the project with the least amount of uncertainty involved. It was assumed that the uranium gun-type bomb could be more easily adapted from it. The gun-type and implosion-type designs were codenamed "Thin Man" and "Fat Man" projects respectively. These code names were created by Robert Serber, a former student of Oppenheimer's who worked on the Manhattan Project. He chose them based on their design shapes; the "Thin Man" would be a very long device, and the name came from the Dashiell Hammett detective novel The Thin Man and series of movies by the same name. The "Fat Man" bomb would be round and fat and was named after Sydney Greenstreet's character in The Maltese Falcon. "Little Boy" would come last and be named only to contrast to the "Thin Man" bomb. 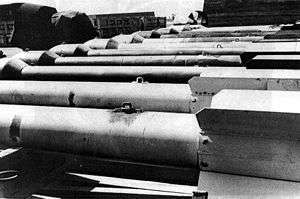 "Thin Man" plutonium gun test casings at Wendover Army Air Field, as part of Project Alberta in the Manhattan Project. "Fat Man" casings can be seen behind them. Oppenheimer assembled a team at the Los Alamos Laboratory to work on plutonium gun design that included senior engineer Edwin McMillan and senior physicists Charles Critchfield and Joseph Hirschfelder. Critchfield had been working with sabots, which Oppenheimer believed would be required by the Thin Man to achieve the high muzzle velocities that critical assembly would require. Hirschfelder had been working on internal ballistics. Oppenheimer led the design effort himself until June 1943, when Navy Captain William Sterling Parsons arrived and took over the Ordnance and Engineering Division and direct management of the "Thin Man" project. These four created and tested all the elements of the Thin Man design between April 1943 and August 1944. Parsons, who had developed the proximity fuze for the Navy, ran the division, and handled liaison with other agencies. As the head of the E-6 Projectile, Target, and Source Group, Critchfield calculated critical masses, and instituted a system of live testing with scale models using 20 mm cannon and 3-inch guns. While full-scale Thin Man tubes took months to produce, these were readily and easily obtained. It was not possible to conduct tests with plutonium, as it was not yet available. Indeed, the actual physical characteristics of the metal were little more than educated guesses at this time. Hirschfelder headed the E-8 Interior Ballistics Group. His group performed mathematical calculations, but he also had to identify a suitable powder, igniter, and primer. His group conducted full-scale tests with their selections. Fixing the physical size of the bomb proved important when it came to selecting a suitable aircraft to carry it. The E-8 group estimated the muzzle velocity of the gun at around 3,000 feet per second (910 m/s), close to the maximum achievable in 1944, and calculated that the pressure in the barrel would be up to 75,000 pounds per square inch (520,000 kPa). Although the weapon's designers thought that simply bringing a critical mass together would be sufficient, Serber suggested that the design should also include an initiator. A polonium-210-beryllium initiator was chosen because polonium 210 has a 140-day half life, which allowed it to be stockpiled, and it could be obtained from naturally-occurring ores from Port Hope, Ontario. Oppenheimer requested that it also be manufactured in the X-10 Graphite Reactor at Oak Ridge, Tennessee or, when they became available, the reactors at the Hanford Site. The "Thin Man" design was an early nuclear weapon design proposed before plutonium had been successfully bred in a nuclear reactor from the irradiation of uranium-238. It was assumed that plutonium, like uranium-235, could be assembled into a critical mass by a gun-type method, which simply involved shooting one sub-critical piece into another. To avoid pre-detonation or "fizzle", the plutonium "bullet" would need to be accelerated to a speed of at least 3,000 feet per second (910 m/s)—or else the fission reaction would begin before the assembly was complete, blowing the device apart prematurely. Thin Man was 17 feet (5.2 m) long, with 38-inch (97 cm) wide tail and nose assemblies, and a 23-inch (58 cm) midsection. The length was necessary for the plutonium "bullet" to pick up adequate speed before reaching the "target". 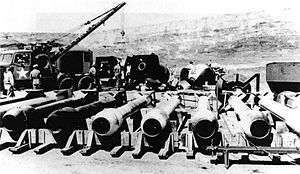 Weight was around 8,000 pounds (3,600 kg) for the final weapon model. There was only one aircraft in the Allied inventory that could carry a Thin Man unmodified: the British Avro Lancaster. However, the American Boeing B-29 Superfortress could be modified to carry it by removing part of the main wing spar and some oxygen tanks located between its two bomb bays. The great length of the "Thin Man" bomb led to aerodynamic instabilities. Subscale models of the bomb were dropped from a Grumman TBF Avenger at the US Navy test range at Dahlgren, Virginia starting in August, 1943. The bombs would spin sideways after being dropped, and broke up when they hit the ground. Twenty-four drops were carried out in March 1944 before tests were discontinued so that improvements could be made to Thin Man. The bombs failed to release immediately, frustrating calibration tests. In what turned out to be the last test flight of the series on 16 March, a Thin Man was prematurely released while the B-29 was still en route to the test range and fell onto the bomb bay doors, severely damaging the test aircraft. The modified glider tow-hook mechanisms used to suspend the bomb in the bomb bay had caused all four malfunctions, due to the great weight of the bombs. They were replaced with British Type G single-point attachments and Type F releases as used on the Lancaster to carry the 12,000-pound (5,400 kg) Tallboy bomb. The feasibility of a plutonium bomb had been questioned in 1942. James Conant heard on 14 November from Wallace Akers, the director of the British Tube Alloys project, that James Chadwick had "concluded that plutonium might not be a practical fissionable material for weapons because of impurities." Conant consulted Ernest Lawrence and Arthur Compton, who acknowledged that their scientists at Berkeley and Chicago respectively knew about the problem, but could offer no ready solution. Conant informed the director of the Manhattan Project, Brigadier General Leslie R. Groves, Jr., who in turn assembled a special committee consisting of Lawrence, Compton, Oppenheimer, and McMillan to examine the issue. The committee concluded that any problems could be overcome by requiring higher purity. In April 1944, experiments by Emilio G. Segrè and his P-5 Group at Los Alamos on the newly reactor-produced plutonium from Oak Ridge and the Hanford site showed that it contained impurities in the form of the isotope plutonium-240. This has a far higher spontaneous fission rate than plutonium-239. The cyclotron-produced material on which the original measurements had been made had much lower traces of plutonium-240. Its inclusion in reactor-bred plutonium appeared unavoidable. This meant that the spontaneous fission rate of the reactor plutonium was so high that it would be highly likely that it would predetonate and blow itself apart during the initial formation of a critical mass. The distance required to accelerate the plutonium to speeds where predetonation would be less likely would need a gun barrel too long for any existing or planned bomber. The only way to use plutonium in a workable bomb was thus implosion — a far more difficult engineering task. The impracticability of a gun-type bomb using plutonium was agreed at a meeting in Los Alamos on July 17, 1944. All gun-type work in the Manhattan Project was directed at the Little Boy enriched uranium gun design, and almost all of the research at the Los Alamos Laboratory was re-oriented around the problems of implosion for the Fat Man bomb. 1 2 Hoddeson et al. 1993, p. 55. ↑ Hoddeson et al. 1993, p. 87. ↑ Serber & Crease 1998, p. 104. ↑ Hoddeson et al. 1993, pp. 83–84. ↑ Hoddeson et al. 1993, pp. 83–84, 111–112. 1 2 3 Hoddeson et al. 1993, pp. 126–128. ↑ Hoddeson et al. 1993, pp. 112–114. 1 2 Hansen 1995, p. 106. ↑ Hoddeson et al. 1993, pp. 119–123. 1 2 Campbell 2005, pp. 76–77. ↑ Hansen 1995, pp. 107, 119. ↑ Campbell 2005, p. 42. ↑ Hoddeson et al. 1993, p. 380. ↑ Campbell 2005, pp. 8–10. ↑ Nichols 1987, pp. 64–65. ↑ Hoddeson et al. 1993, p. 228. 1 2 Hoddeson et al. 1993, pp. 240–244. ↑ Nichols 1987, pp. 138–139. Campbell, Richard H. (2005). The Silverplate Bombers: A History and Registry of the Enola Gay and Other B-29s Configured to Carry Atomic Bombs. Jefferson, North Carolina: McFarland & Company. ISBN 0-7864-2139-8. OCLC 58554961. Hansen, Chuck (1995). Volume V: US Nuclear Weapons Histories. Swords of Armageddon: US Nuclear Weapons Development since 1945. Sunnyvale, California: Chukelea Publications. ISBN 978-0-9791915-0-3. OCLC 231585284. Nichols, Kenneth D. (1987). The Road to Trinity. New York: William Morrow and Company. ISBN 0-688-06910-X. OCLC 15223648. Serber, Robert; Crease, Robert P. (1998). Peace & War: Reminiscences of a Life on the Frontiers of Science. New York: Columbia University Press. ISBN 978-0-231-10546-0. OCLC 37631186.